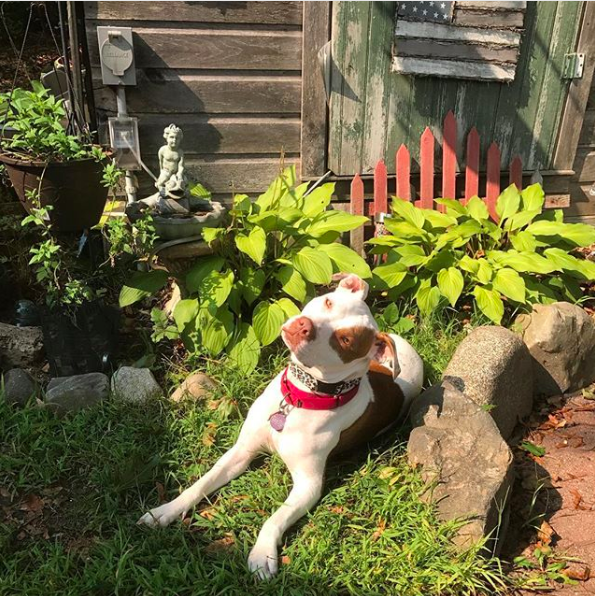 This week’s PortsmouthLOVE Pup is a gorgeous and demure Pit Bull named Macy. You can follow Macy at @macythepitty on Instagram. You should do it, too, because don’t you need more of this cute face in your life?! Get ready for Macy’s close-up ’cause she ready for nose boops! *boop*! Kudos not just to Macy but also to the nose-focused photographer for this one. Pretty sure this could be used to identify Macy should they ever need a record of her nose print. We hear you, Macy. It sure was a scorcher!